One weird thing about going to professional baseball games is that sometimes when you walk into the stadium they give you free stuff. Whether it's a bobblehead, a T-shirt or some other piece of team-related bric-a-brac, getting to take a complimentary souvenir with you from the ballpark is always awesome. And with teams always trying to find new ways to separate themselves from the pack, these giveaways can get pretty wacky. So, I put out a call to action on the Twitter machine -- and compiled the most awesome, unique and straight-up weirdest stadium promotional giveaways you folks sent over. The folks in the Angels marketing department literally could put Mike Trout's face on anything and it would be awesome, because he is the greatest baseball player alive. But I love the fact that someone was like, "You know what? Let's put his face on a literal nutcracker." And then someone else was like, "Yeah absolutely," and now the world gets to have this amazing thing. There's something kind of tragic to me about a Lucas Duda-themed growth chart. You see, Duda is 6-foot-4, so if you're a kid trying to get more sky-adjacent, it must be demoralizing if your parents are constantly marking your progress next to such a tall dude. Not only do these trinkets keep your wine fresh after opening, but they also look shockingly a lot like Manny Machado, Jonathan Schoop, J.J. Hardy and Chris Davis. Chris Colabello hit only .214 in his 401 plate appearances as a Minnesota Twin, but his tenure there will live on forever thanks to this incredible giveaway. This is so cool. I'm genuinely jealous I don't have this in my kitchen. It's a shame the Blue Jays never got Grilli to actually pitch in the apron. That thing would definitely have added like five miles per hour to the fastball. 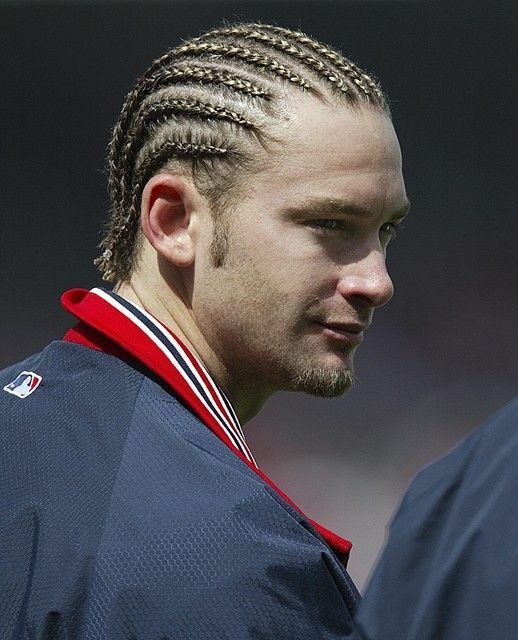 This isn't even the hairdo most people remember Arroyo for, but the hat is still outstanding. Not totally sure how you'd adjust the size with the hair in the back, but I still want one of these yesterday. On April 20 the Rays plan to honor their fireballer Ryne Stanek for becoming the face of baseball's opener movement last year. Unfortunately, this bottle opener only opens your first drink -- you've got to have a Ryan Yarbrough one to open all drinks after that. The Tampa version of Ben Zobrist was one of the most versatile baseball players we've ever seen. So versatile, in fact, that now a ton of people refer to utility players as "Ben Zobrist types." It's hard to see what exactly is on this Zobrist-themed utility belt, but if it was created in the spirit of Zo, I'm sure it's all very useful. Which MLB players deserve their own promotional nights?